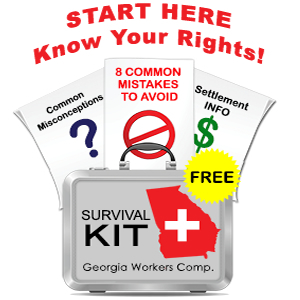 The law – Section 34-9-17 of the Official Code of Georgia – also provides that an employer may deny an otherwise payable claim if a blood test reveals the presence of “any amount of marijuana” or other controlled substance in a blood test administered within 8 hours of the work accident. Specifically the law provides that a “rebuttable presumption” arises that the accident was cause by the use of marijuana or the controlled substance. The burden falls on the claimant to show otherwise.